In addition to rent, you would be charged a $250 Booking/Management fee and I require a $750 Security Deposit that will be returned to you after you leave the house in proper condition. If you pay via MasterCard/Visa or PayPal I will need to impose a 3% surcharge on the amount paid. I would like to take a moment to tell you a little more about our house. There are three bedrooms on the ground floor. 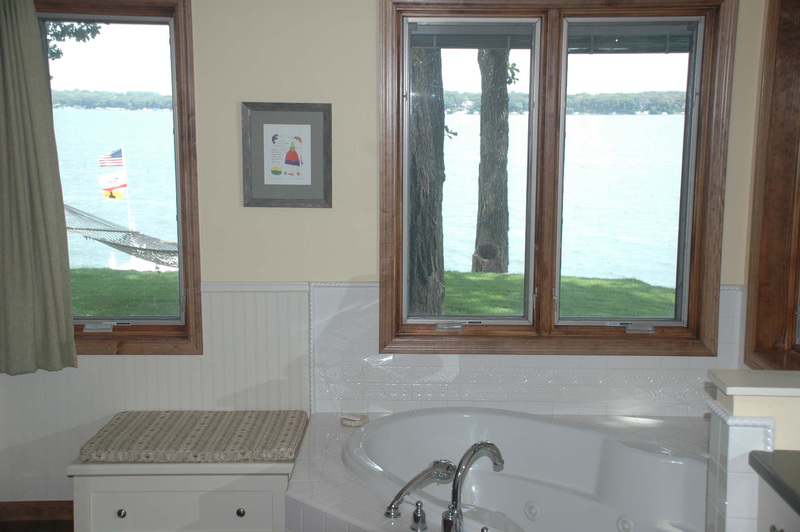 The luxurious master suite (with queen bed) overlooks the lake and has a large bath with double sinks, jacuzzi tub and 2 shower head steam shower. 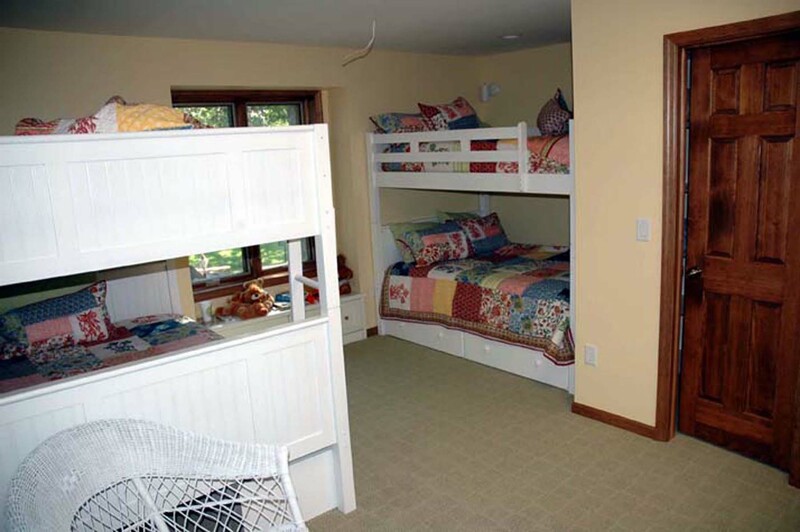 The second and third bedrooms are across the hall from the master bedroom and each have a queen bed. 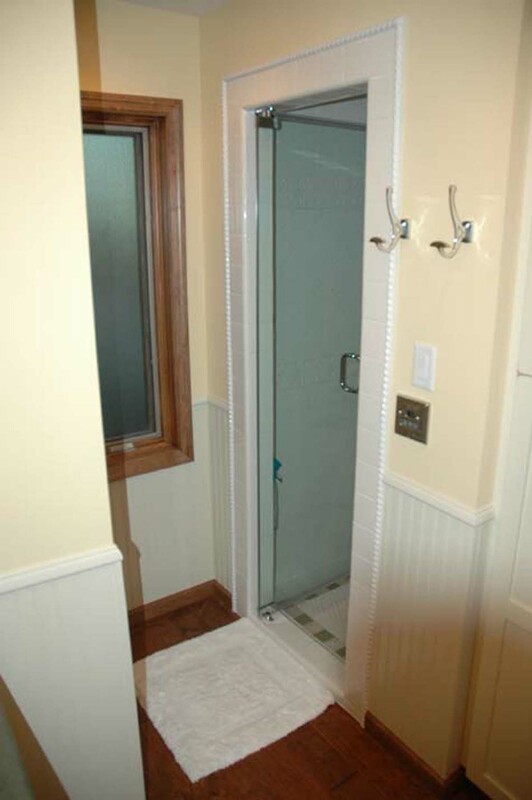 The 2nd and 3rd bedrooms share a bath that has both a tub and a shower in it. 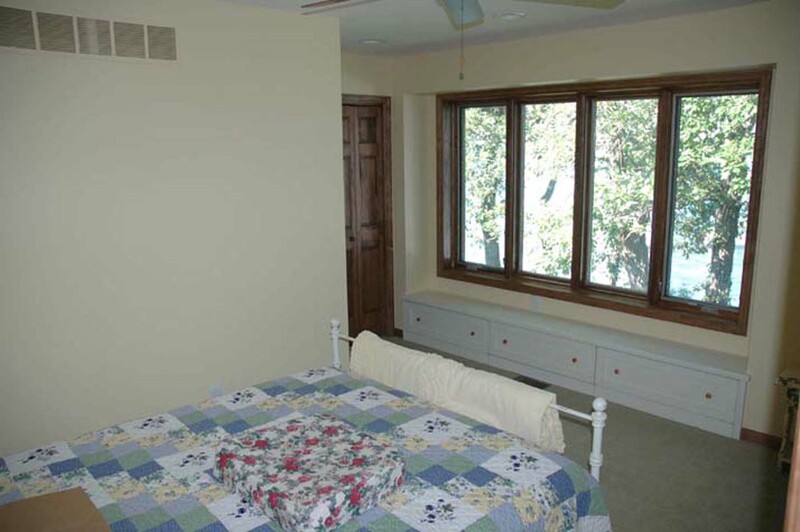 There are two more bedrooms upstairs. 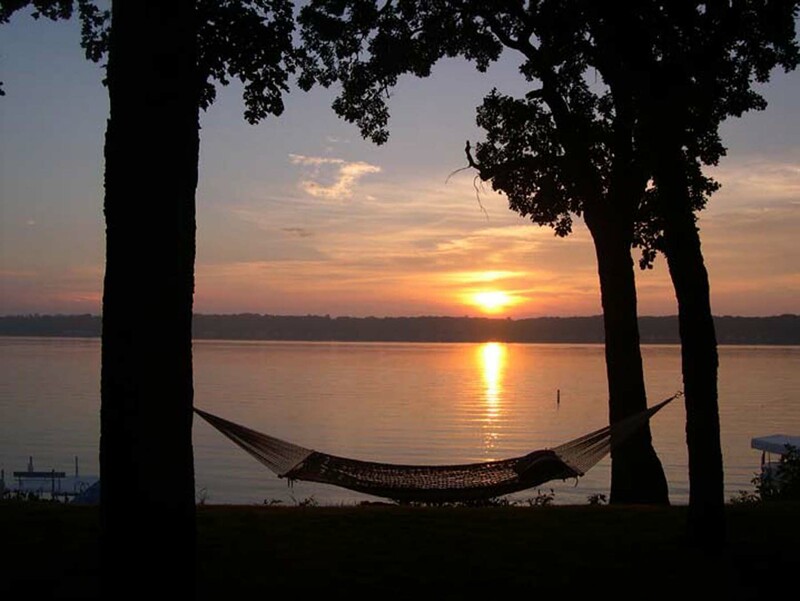 The upstairs 4th bedroom overlooking the lake has a queen bed and the 5th bedroom is a bunkroom (facing away from the lake) has two full-over-full bunk-beds (meaning you can sleep 4-8 people in the bunk-beds). 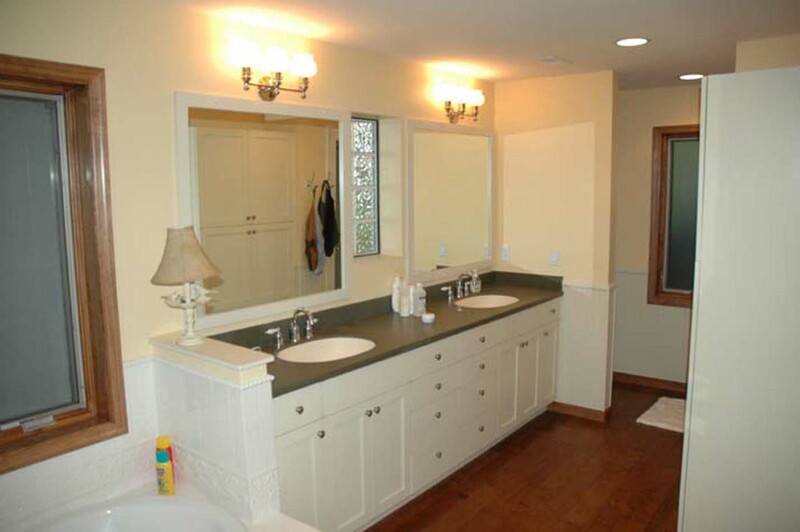 The two upstairs bedrooms share a bathroom that has a tub/shower and double sinks. 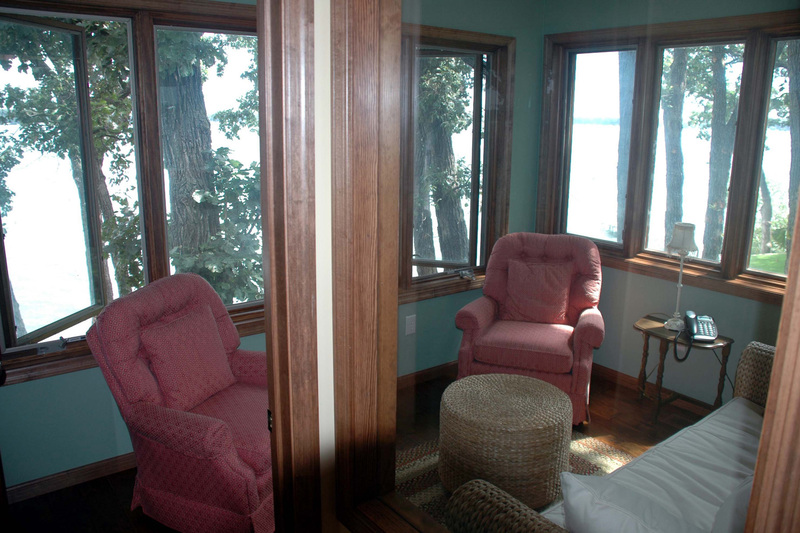 Adjacent to the 4th bedroom is a enclosed three-season porch with a couch and two chairs that is perfect for card games or quiet reading. There is also a small office upstairs with internet access and a printer. The ground-floor spaces are large family spaces including the kitchen-family room and formal living-dining room areas. 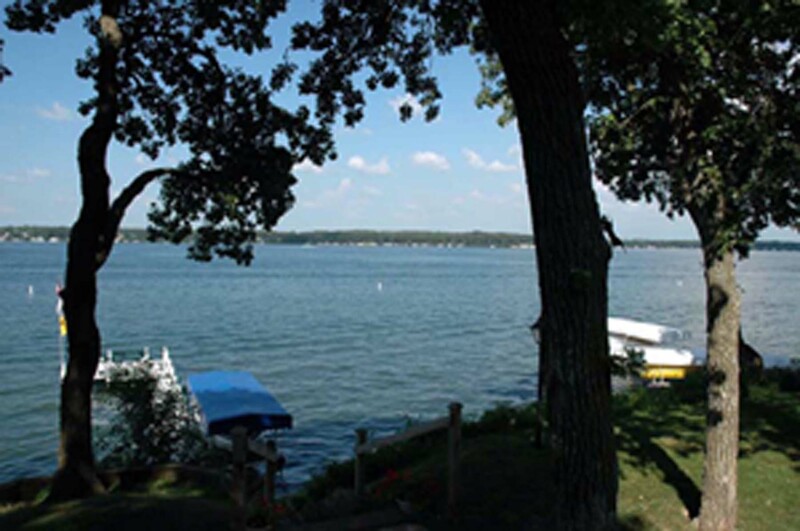 The kitchen has granite countertops and is fully equipped with a refrigerator, microwave, oven, range, toaster, blender, ice-maker and dishwasher. There are three counter-stools where you can sit at an island in the kitchen. 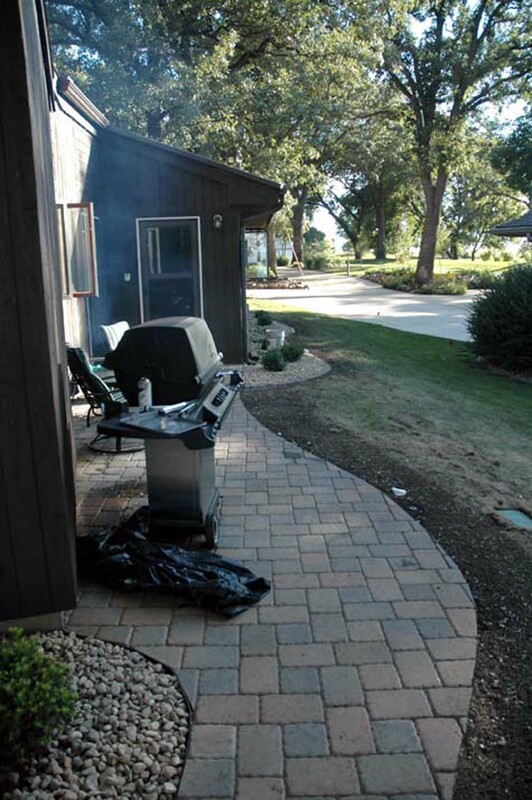 There is also a natural gas BBQ built into the side of the house available for your use. The kitchen is fully stocked with pots, pans, silverware, dishes and glasses. 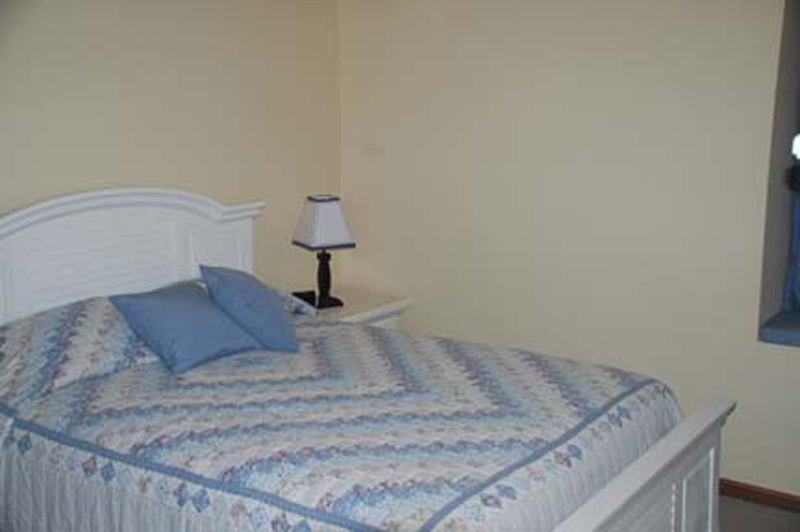 Rental of our home includes use of the linens and towels you will need during your stay. The kitchen table seats six and can seat up to ten with the addition of two table leaves. Attached to the kitchen is a laundry room with washer and dryer and a 2 car garage. 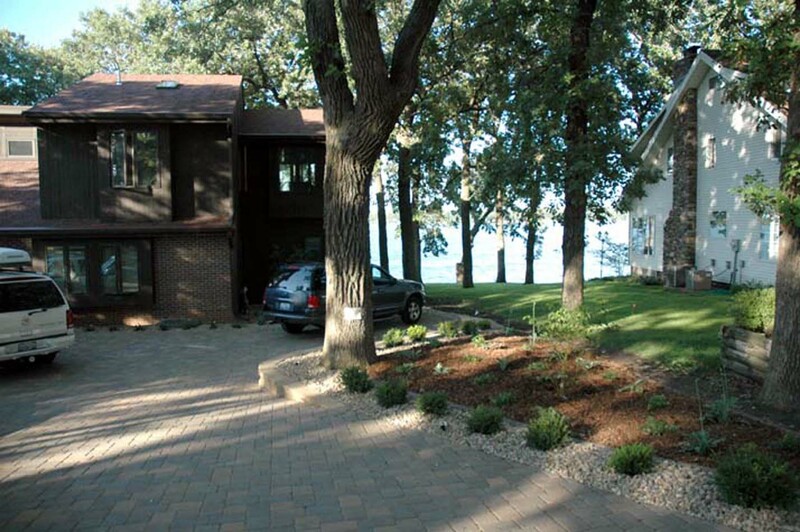 The garage is typically full of items being stored though (an old convertible, bikes, outdoor furniture in the off-season) so you probably won't be able to get a car into the garage during your stay. You are, however, free to use the bikes and there is a pump in the garage to inflate the tires. 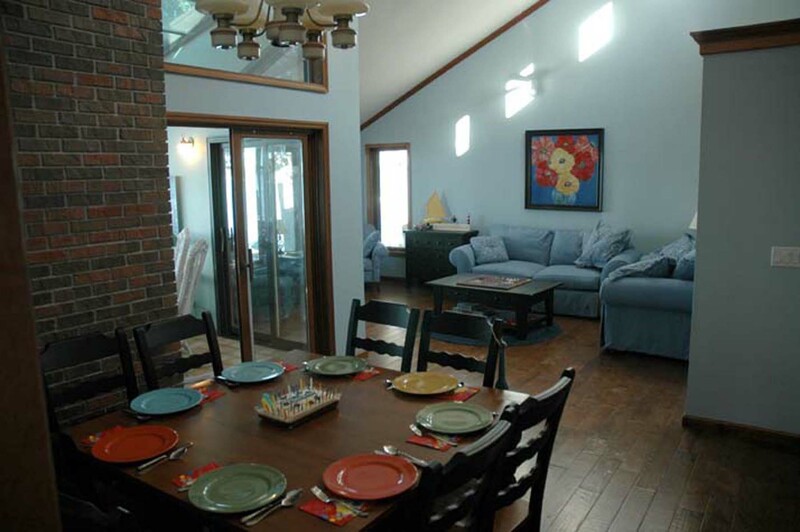 The family room is adjacent to the kitchen and has a 42" plasma TV, DVD, VCR, Stereo and fireplace. The instructions on how to open the flue are on a sheet of paper that is usually in the copper boiler used for wood storage next to the fireplace. 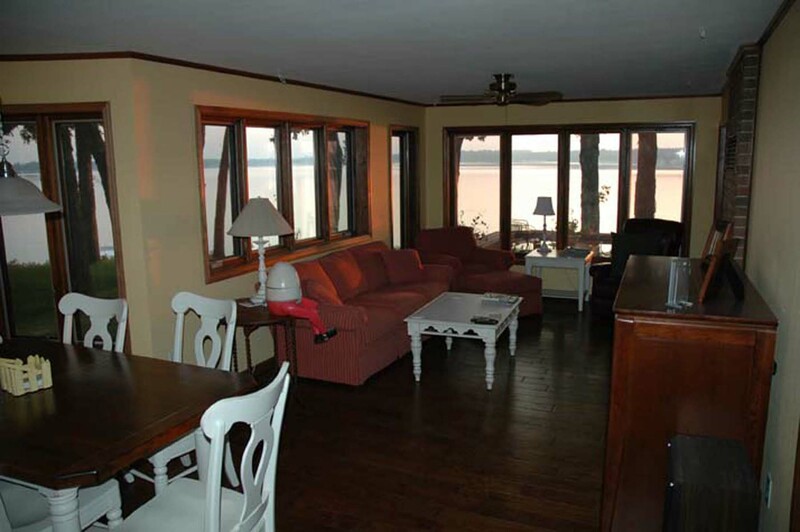 The living room/formal dining room also faces the lake and has a table that seats eight people at a square table. 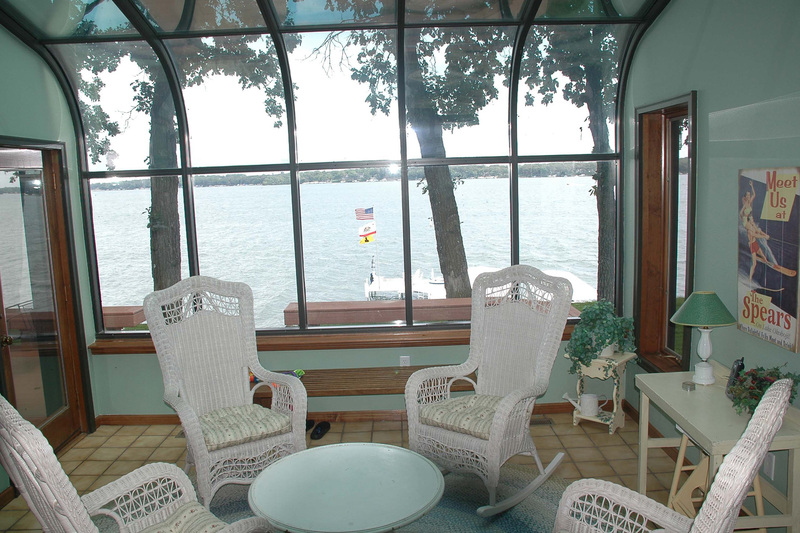 The living room and family room surround a "greenhouse-style" sunroom that juts out from the house closest to the lake. It's a great place to sit in the morning with coffee as we get a lot of morning sun due to the North-East orientation. 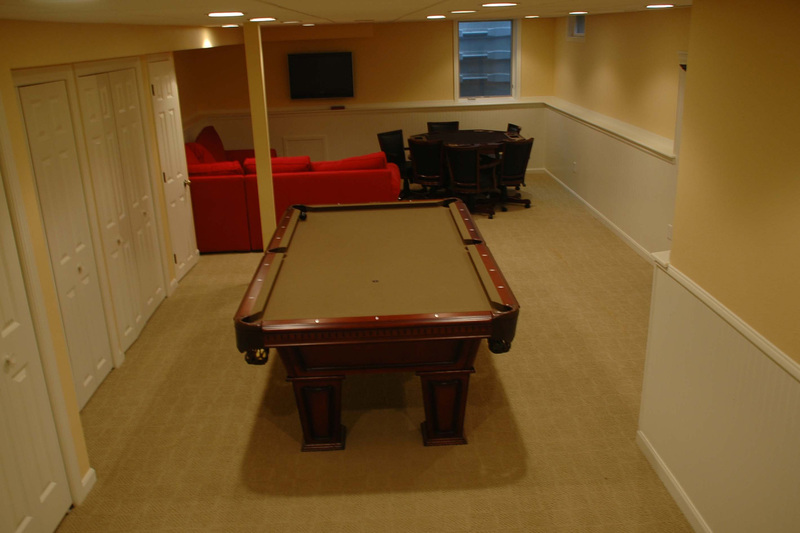 We finished off the basement in 2007 so it's now carpeted and very comfortable. We have an L-shaped sectional sofa in the basement and a flat-panel TV/DVD. There's also a pool table and a poker table with six chairs. 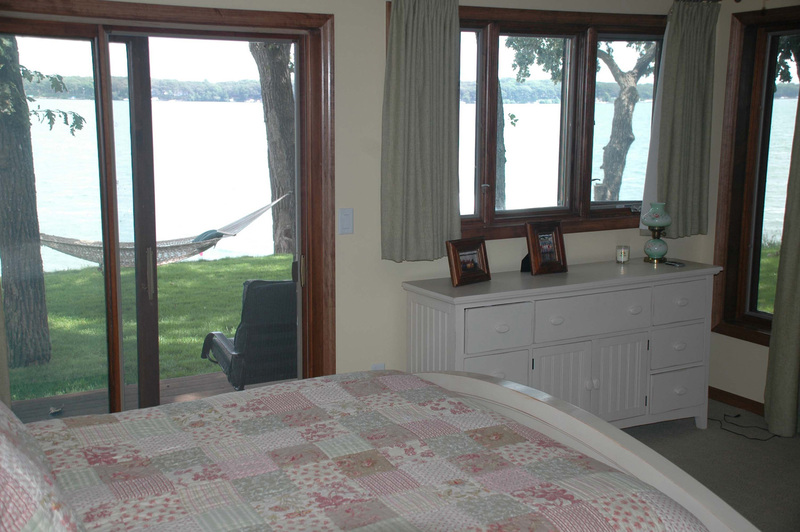 The sunroom opens out onto a large deck that looks out on the lake and has outdoor furniture on it in the summer. 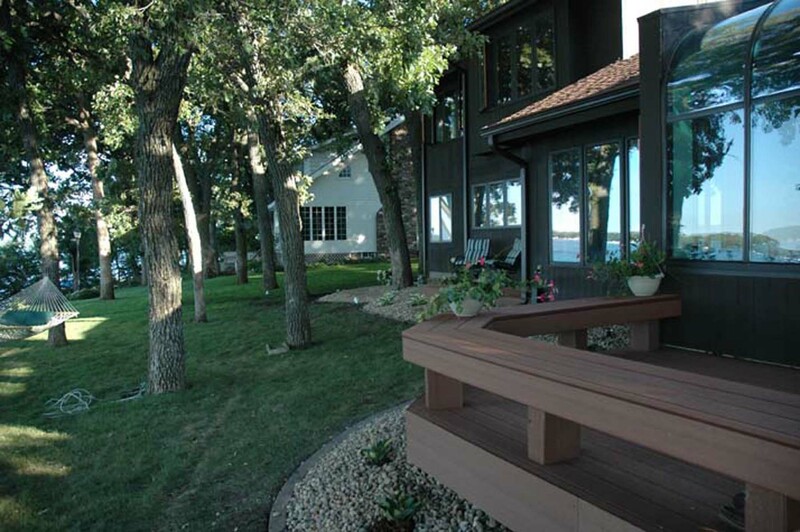 At the base of the deck is a flagstone path that leads to the stairway down to the lake. 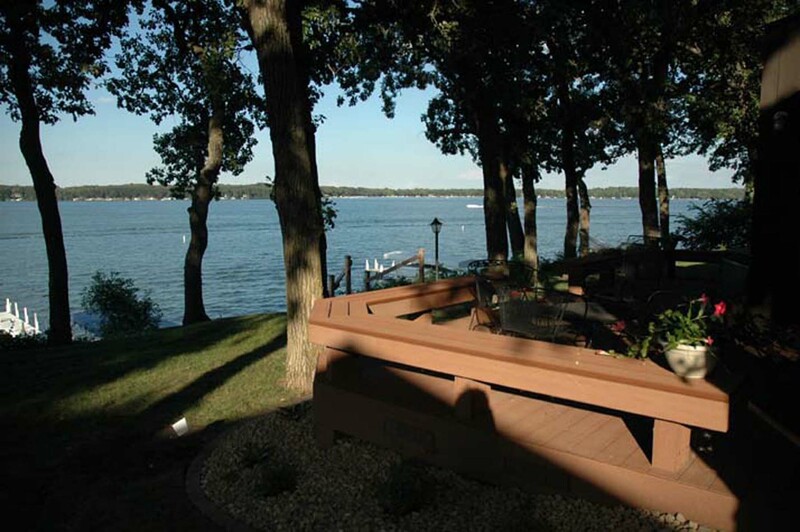 The stairway leading down to the dock has 33 steps and about two-thirds of the way down there is a small sitting area that looks out on the lake. We repainted the entire inside of the house and installed hardwood flooring when we remodeled the house in the winter of 2005. 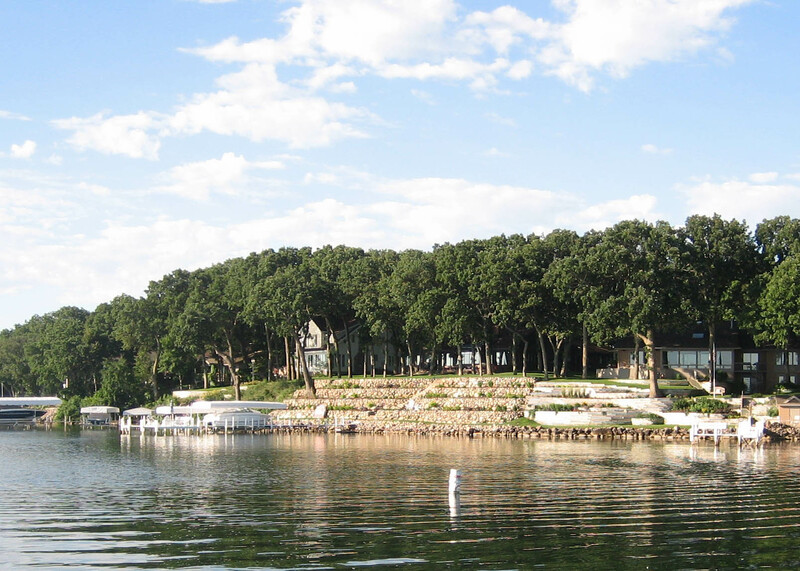 Our home is completely winterized and has air-conditioning. 1. 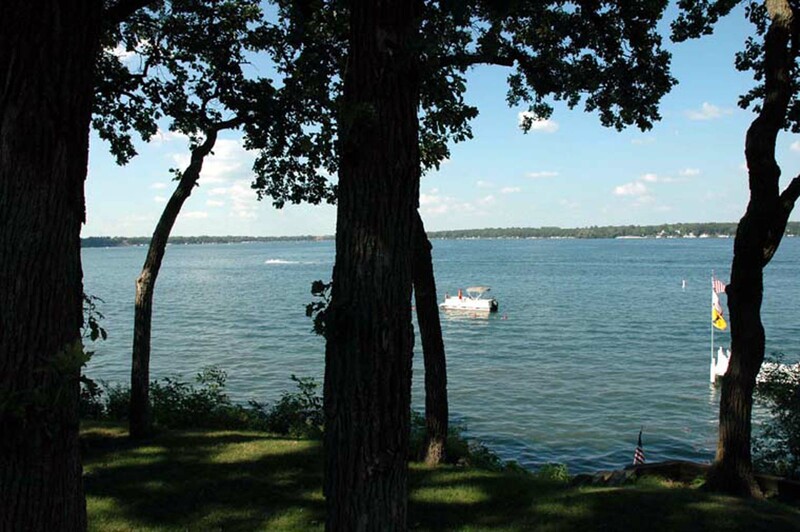 A 5000 pound hoist that we use with our 21 ½ foot inboard ski boat and before that with our 22 ½ foot inboard/outboard. 2. An 8000 pound hoist that we use with our 29 foot inboard/outboard. 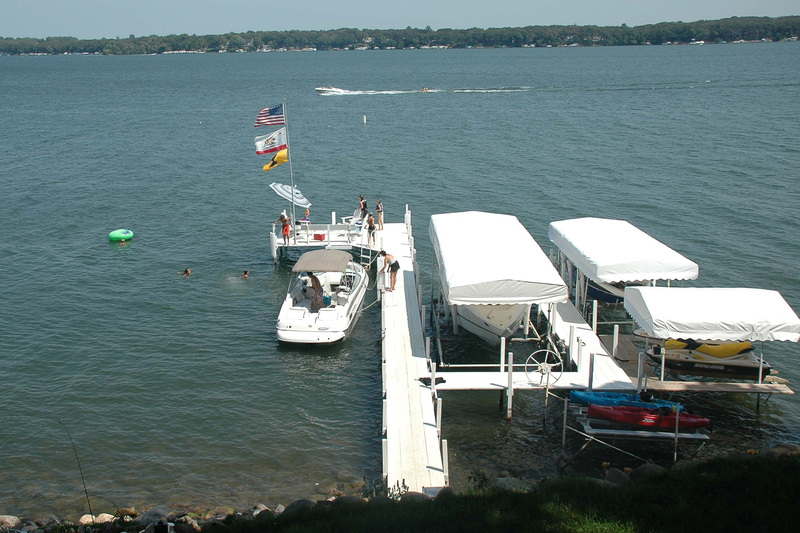 Hoists 1,2 and 3 have vinyl awnings over them as well. If you bring your laptop with you, you'll be able to access the internet either through an Ethernet cable connection in the office or via the 802.11b/802.11g Wi-Fi wireless network in the house. There is no smoking or pets allowed in our house.